What are the benefits of membership? – The Australian Philatelic Society Inc.
Home › FAQ › What are the benefits of membership? A community of people who are knowledgeable in many aspects of postal history and philately and are keen to share their knowledge and expertise. Four issues of the Australian Journal of Philately each year. All financial members receive our journal. It offers members the opportunity to have original research published. A forum for showing your collections and receiving positive and friendly criticism aimed at improving displays for competitive showings. A forum for asking questions, showing items of interest and recent finds. Access to other members, both interstate and overseas. Access to the full range of Web site facilities including the complete version of the Australian Journal of Philately available for online viewing and download. Philately is the study of revenue and postage stamps. This includes the design, production and uses of stamps after they are authorized for issue, usually by government authorities, the most common one being postal authorities. Although many equate it with stamp collecting, it is a distinct activity. For instance, philatelists will study extremely rare stamps without expecting to own copies of them, whether because of cost, or because the sole survivors are in museums. 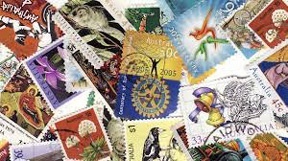 Conversely, stamp collecting is the acquisition of stamps, at times without regard for origin or usage. Postal History is the study of postal systems and how they operate and, or, the collecting of Covers and associated material illustrating historical episodes of postal systems.